Have you ever been to Crimea? If you have, you will never forget this beautiful land and will always dream of coming back again and again. If you are just considering coming here, let us help you discover Crimea and you will fall in love with this enchanting region of the World, as much as thousands of others do every year! Since 2000 our team of professional travel advisers has assisted thousands of foreign visitors in planning their travel to Crimea as well as providing the required support systems during their visit to Crimea. Are you wondering about delightful hotels or rental apartments in Simferopol, Yalta or villas and cottages by the sea in Crimea? 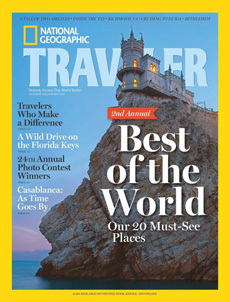 Need advice about traveling within the historical, captivating Crimea? Let us know! We would be pleased to suggest convenient international flights and connections to Crimea as well as flights from Moscow if you plan to go to the capital of Russia first. If you are looking for decent accommodations in Simferopol, Yalta or other Crimea locations, take a moment to check out what we have to offer. There is a wide choice of accommodation options available to stay in Crimea – from budget to luxury ones: hotels and holiday apartments in Yalta; hotels and apartments for rent in the very center of Simferopol; villas, holiday houses and vacation rentals by the sea in beach resort towns throughout Crimea. You may also be interested in other services we offer: pickup and transfer from the airport to your hotel or rental apartment, wireless Internet for your PC, personal English- or German-speaking assistants and interpreter service, guided tours and excursions to Crimea’s major attractions, a number of travel services, Russian language lessons and more. When you are traveling to Crimea you can always count on us! * … how big Crimea is? * … what the capital city of Crimea is? * … what the population of Simferopol is? * … what the name Simferopol means? * … that Russian is spoken as a native language in Crimea? * … there is an international airport in Simferopol? * … which countries have flights to Simferopol? * … what is the capacity of the Simferopol airport? 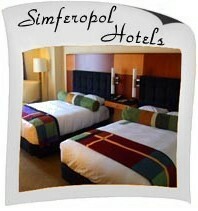 * … there are more than 15 hotels in Simferopol. * … when the first hotel was built in Simferopol? * … which "star ranking" Simferopol hotels hold? * … there is a hotel at Simferopol airport? 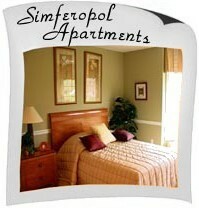 * … how much is an apartment in Simferopol per night? * … how much a taxi ride from the Simferopol airport to a hotel or apartment is? * … what the Republic of KaZantip is? * … where to stay during the KaZantip Festival? 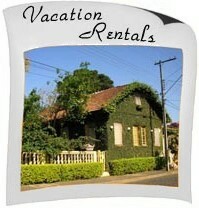 * … how to make the most of your summer vacation?